Simply put, Krashes plays a role in what he paints before he paints it, and it doesn’t stop there. From the very complicated situations he has placed himself in, the paintings attempt to distill and slow down these experiences with careful consideration. One by one, his brush strokes are laid out to carefully compose the image, resulting in paintings that exhibit an incredibly considerate and delicate touch. In opposition to the way we often see power relationships strongly mediated through mainstream outlets, Krashes’ paintings reveal an individual’s attempt to reflect upon a complex and compelling world outside of his studio. 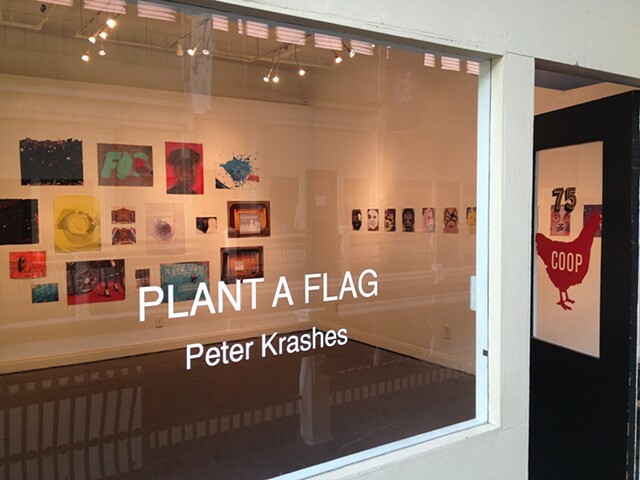 Krashes’ work has been exhibited in museums and commercial galleries in the United States and abroad. He has had solo exhibitions at University Galleries, Illinois State University; Theodore: Art, Brooklyn; Derek Eller Gallery, New York; Jessica Murray Projects, Brooklyn; Momenta Art, Brooklyn; White Columns, New York; and Michael Klein Gallery, New York. He has been included in group exhibitions at Crane Arts, Philadelphia, He Xiangning Art Museum, Shenzhen, China, the Aldrich Contemporary Art Museum, Connecticut; Zolla/Lieberman, Chicago; and Galerie Chez Valentin, Paris. Among the grants he has received are a Joan Mitchell Foundation Painter and Sculptors Grant and a Marshall Scholarship for study at the University of Oxford. He has taught art in numerous places including Cooper Union for the Advancement of Science and Art, Skowhegan School of Painting and Sculpture, American University, Rutgers University, Illinois State University and the University of the Arts. The artist received his B.F.A. (M.A.) from the Ruskin School of Drawing and Fine Art at the University of Oxford. He received his B.A. from Middlebury College in Middlebury, Vermont.